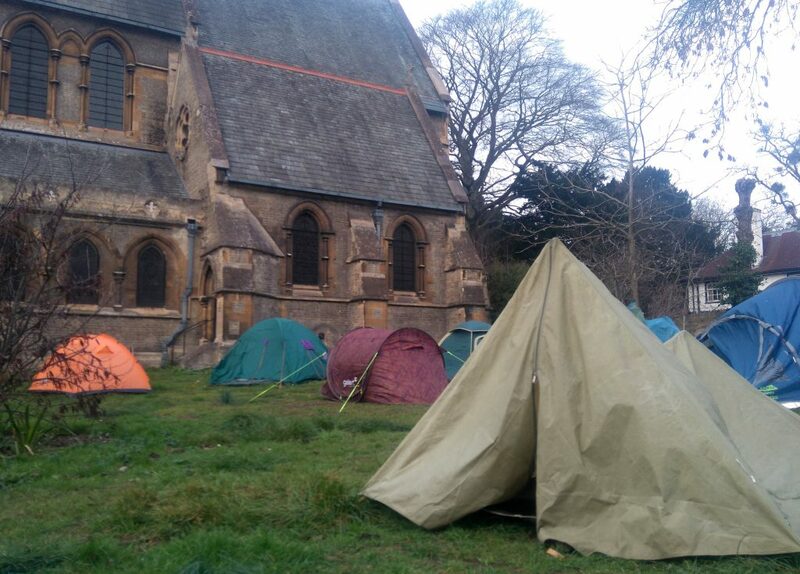 CamCRAG has once again erected a sea of tents in the grounds of St Giles Church to highlight the plight of the homeless in Cambridge and refugees sleeping rough in northern France. 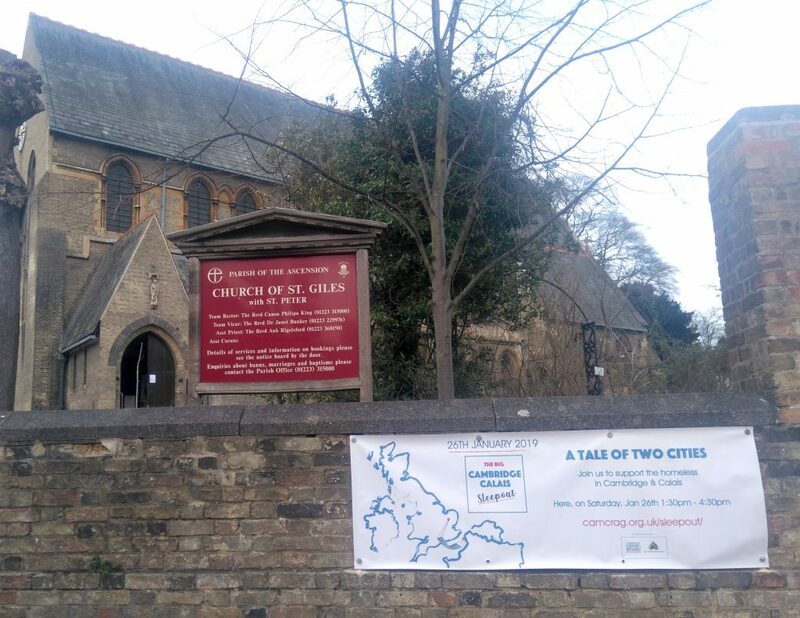 The tents will stay outside St Giles until after the Big Cambridge Calais Sleepout this coming Saturday 26 January, when sponsored volunteers will sleep outside to raise money for CamCRAG and The Whitworth Trust. It’s not too late to get involved with the event, be it by sleeping outside, baking a cake or donating something for the raffle. Everyone is invited in the afternoon ahead of the sleepout to have some soup, buy a CamCRAG poncho, browse stalls from various charities, and hear speakers talk about why fundraising events like these are so important.